Bali Yoga School is one of the prominent yoga schools in Bali that offers you a luxury wellness journey in the mesmerizing environment of Bali. We are recognized as the best yoga school in Bali for yoga, meditation and yoga retreat in Bali. With years of profound experience listening to the needs of yoga students, we continue to help yoga learners in making yoga accessible. Holiday will surely release your daily stress but a yoga retreat offers more benefits. Bali Yoga School offers an unforgettable experience of 7 days yoga & meditation retreat in Bali. Now, you can enjoy your holding along with joining a yoga retreat. Yoga retreat offers you fun activities and you also get to practice yoga every day. Yoga retreat in Bali include yoga classes, self-improvement workshops, and meditation. Yoga is a widely practiced discipline all over the world known for boosting the health and its relaxing effects. Our yoga retreat center has the calm environment that includes private rooms, outdoor swimming pool, and open-air pool fresh water. 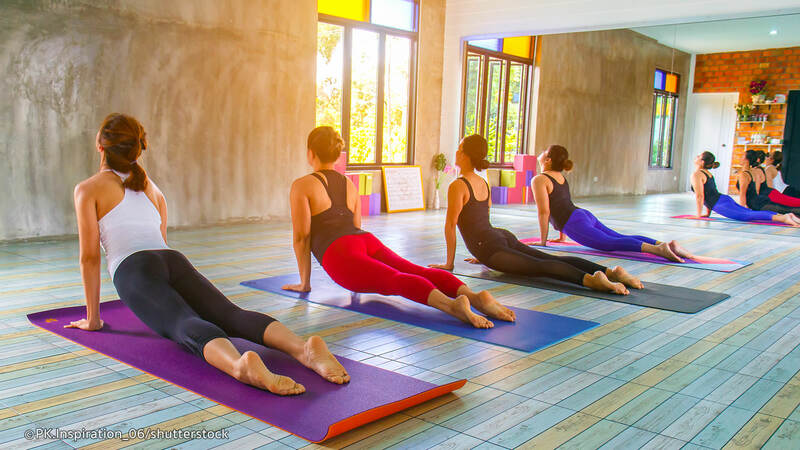 Yoga instructors at Bali Yoga School teach authentic and personalized yoga lessons along with detox and de-stress therapies irrespective of your age and experience. The yoga retreat enables you to integrate the benefits of yoga with meditation, asanas, pranayama, yogic kriyas, deep relaxation etc. into your daily life. Our teachers possess the ancient knowledge and modern yoga teaching methods to offer classes for beginner, intermediate and advanced levels for yoga. We offer yoga sessions twice a daily and a meditation session. We also offer customised yoga retreats who want to delve deeper into the ancient spiritual yoga tradition and allow you to experience the physical aspects of yoga along with other aspects. Bali, with its serene atmosphere and lush scenery, has become a top destination for yogis who travel all the way to meditate and experience the beauty of the island. In fact, the Bali Provincial Tourism Office has included yoga tourism as a part of its programme to attract foreign tourists. Bali offers a great yoga experience; it has a number of resorts and stimulating nightlife. We guarantee you a completely refreshing experience in yoga school in Bali. A yoga retreat is a perfect way to take a break and divert your mind from negative thoughts to get settle into a blissful conscious state. Very unique diving and yoga retreat in Bali, explore the beautiful underwater coral reefs and do yoga exercises in the island of the Gods. North Bali is the most perfect place for a peacefull retreat, to exercise yoga, to treat yourself with the most beneficial exercises for your body and your soul.